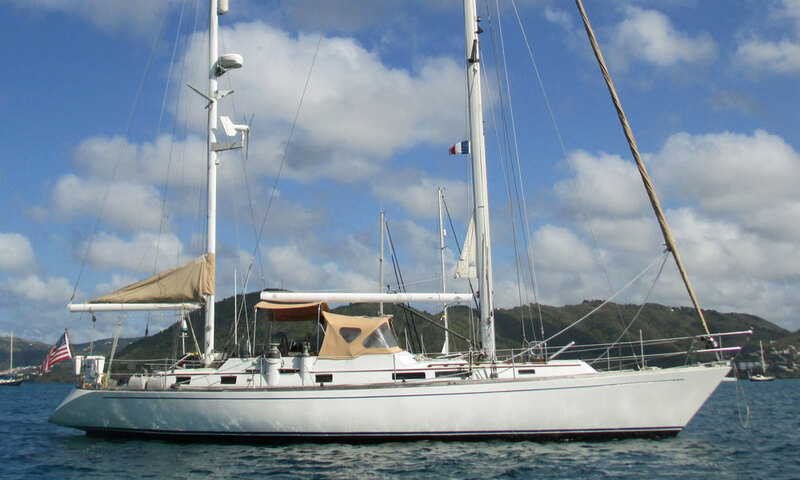 Is The Ketch Sailboat the Best Type of Sailboat for Offshore Cruising? 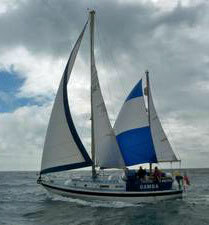 It's easy to confuse a ketch sailboat with a yawl so perhaps we should clear that up before we go any further. Both are two-masted rigs with a mainmast foremost and a smaller mizzen mast aft. It's generally accepted that the difference between the two types comes down to the location of the mast in relation to the rudder post. In a yawl the mizzen is aft of the rudder post and in the ketch, it's forward. But the real difference is one of purpose. 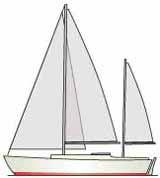 The mizzen on a yawl is intended to help trim the boat, in capable hands giving them the ability to follow a compass course despite minor wind shifts. This was a very handy feature in the days when commercial fishing was done under sail, but these days efficient autopilots and navigation aids have made this less important and the yawl has generally fallen out of favour. 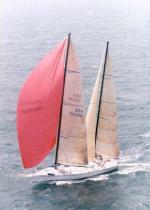 The mizzen sail of a ketch is larger than that of a yawl and is there to add drive. And so it does - off the wind. 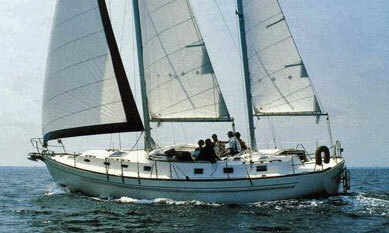 On the wind though, the mizzen is likely to add nothing but drag, being back-winded most of the time by the mainsail. In these conditions the mizzen sail may as well be dropped, at which point the ketch becomes in effect an under-canvassed sloop. 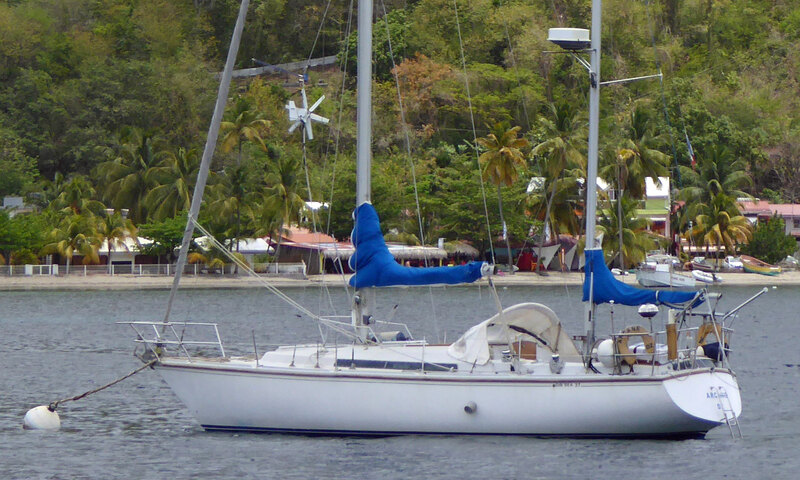 Off the wind a ketch is at its most efficient, particularly so if cutter rigged and with a mizzen staysail set. That's the sail set between the head of the mizzen mast and the foot of the main mast, as on the Westerly 33 shown here. But all the additional hardware - mizzen mast, sails, winches, standing and running rigging - comes with a considerable cost burden. secondly, at anchor where with the mizzen set as a steadying sail, the boat will lay comfortably head-to-wind. 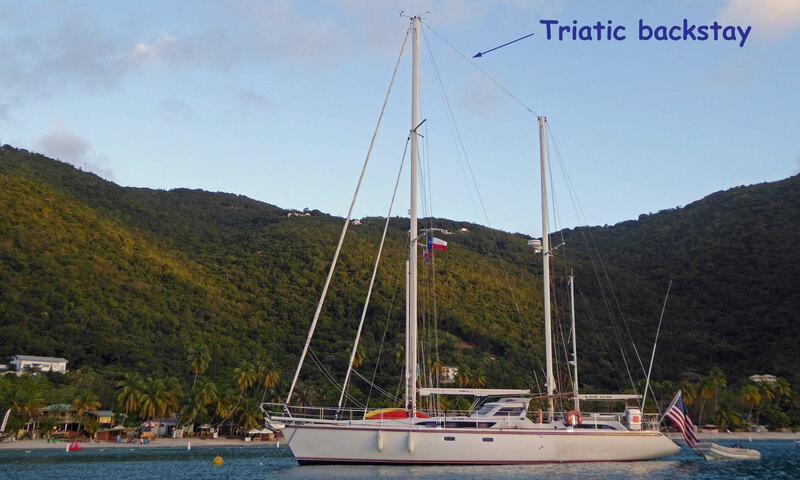 Although you'll see many ketch sailboats with a triatic backstay tensioned between the two mastheads, each mast should be stayed individually. Whilst this stay is ideally placed to act as an insulated SSB radio aerial, in the event of the loss of one mast it's almost guaranteed to result in the loss of the other. 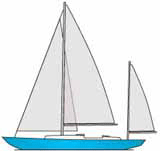 A cruising sloop of a similar size has only two sails to make up the same sail area, which would be considerably more difficult for a short-handed crew to handle. 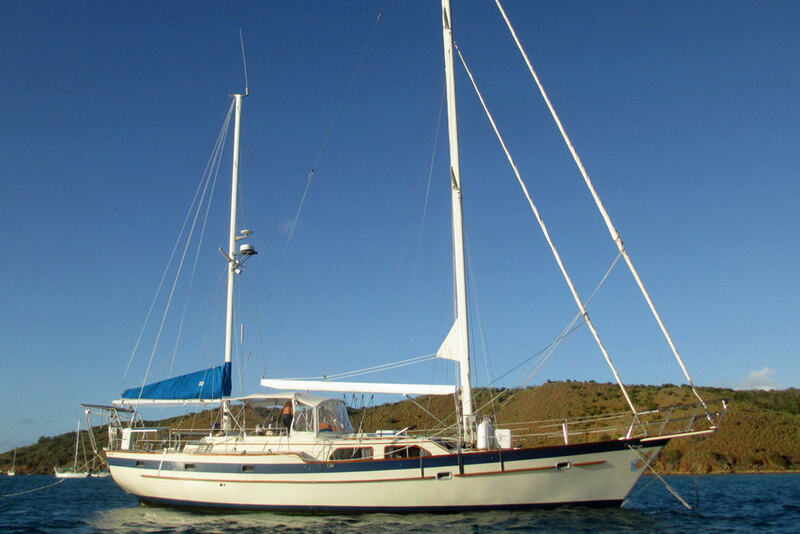 So in answer to the original question, although they're not the best choice for windward sailing, the ketch can make an ideal cruising sailboat. 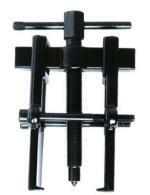 Lastly, the mizzen mast on a ketch sailboat provides an ideal place to mount your radar scanner and wind generator. And as one old sea-dog once told me, a convenient thing to lean against when you're smoking your pipe.